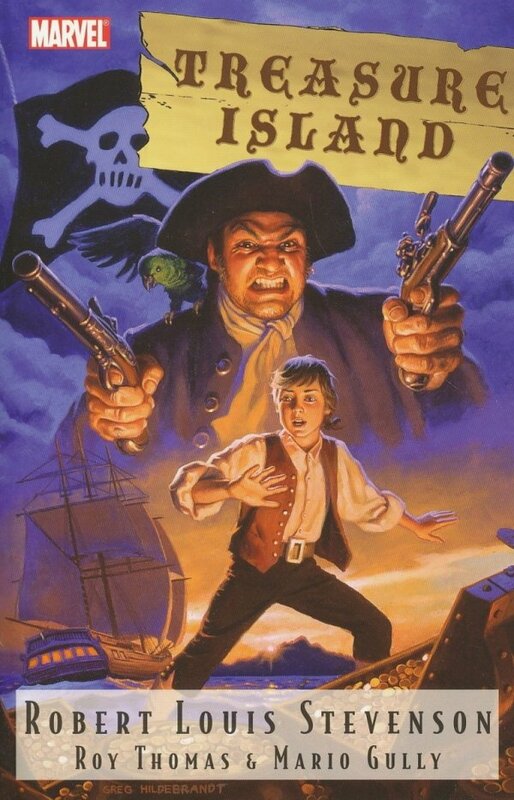 Robert Louis Stevenson's seafaring adventure is brought to graphic life by scrivener Roy Thomas (X-MEN, AVENGERS, CONAN) and a new penciling sensation Mario Gully! This is a classic tale that has thrilled generations of readers, taken in by the allure of the sea - as only Stevenson could present it! Don't dare miss this limited adaptation of the entire novel, me hearties, or walkin' the plank ye'll be!